Our meetings: Members often bring handwork to do at meetings. Library books are available for borrowing. Meetings often include a speaker. Complimentary tea and coffee are provided. During “show and tell” members will share items they have recently completed. Meeting Schedule: Our meetings are held on the First Saturday of the month from 1.30pm to 4pm and the Third Thursday of the month from 9.30am to 11.30am. Block of the month: A block of the month or a special challenge is available at all meetings so that new techniques can be learnt-Cost $1. Raffles: are held at each meeting (tickets $1) and the funds raised help to provide prizes at our biennial exhibitions. Newsletter: These are published every two months and are available on the website, or you can have a hard copy if you prefer. Information about classes, special events, challenges, and new library books are included as well as details of regular meetings. Members are welcome to contribute items of interest to the newsletter editor via the Guild email or direct to the Editor or a committee member. Library: There is an extensive library available to members at monthly meetings. The borrowing charge is 50 cents per item. Books can be borrowed for one month only. Friendship Groups: Many members belong to a small friendship group. If you would like further information, look in the section on this website or ask a committee member. Badge: The Guild has a badge available for $10 from the Treasurer or Librarian at meetings. Exhibition: An exhibition of work is held every second year. Quilts not previously exhibited in Canterbury are eligible to be entered. There are a number of awards made, including the Edna Butcher Award for small piecing and the Betty Glanville Award for fine hand quilting honouring our two founders. Classes: Classes and workshops are held several times each year. Details are on this website or in the newsletter. If you are a new quilter, please check that what you will need to complete the class and will be able to achieve success. Beginners: Beginning quilters are asked to talk with a committee member about beginners’ courses available in the community, and about the support the Guild can offer. All meetings are held at the Christchurch Bridge Club rooms in Nova Place. Parking is readily available. New members and visitors are always welcome at all our meetings. 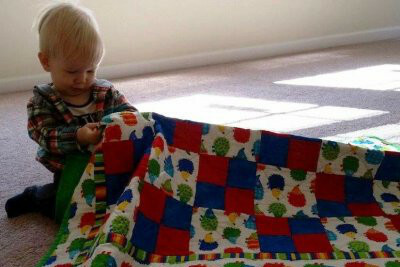 Many members belong to a small quilting and patchwork friendship group. These are usually house based. If you would like further information, look in the section on this website or ask a committee member. We are very pleased to welcome new members to the Guild. Do you want to know more about us?